This Linux Training includes comprehensive 15 Linux courses with 124+ hours of video tutorials and Lifetime Access. You will also get verifiable certificates (unique certification number and your unique URL) when you complete each of the courses. This Linux Training is a package of courses and chapters under each course in the Linux Certification and its relative modules are covered with the core and advanced concepts on Linux concepts and developing UNIX programs or running scripts on UNIX operating systems using Shell or Bash Scripting. Deal You get access to both the 15 courses. You do not need to purchase each course separately. 1 Linux System Administration with Python In this Linux training you shall learn Introduction to Linux, Installing VMware and Linux Mint, Ipython, Text, Documentation and Reporting, Networking, Data, OS Soup, Package Management, Command Line and Pragmatic examples. 2 OpenSUSE Linux OS Fundamentals This Linux training module explain Introduction to Linux Operating systems, OpenSUSE file system hierarchy and directory structure. 3 Kali Linux Training Introduction to ethical hacking, installation and configuration, DNS spoofing, Denial of Service Attack, Password cracking, wireless hacking, Metasploit, SQL Injection, Cryptography. 4 App Development with Linux Introduction to Introduction to Bash, writing and debugging scripts, Regular Expressions, GNU Stream editor, Interactive scripts, catching signals. 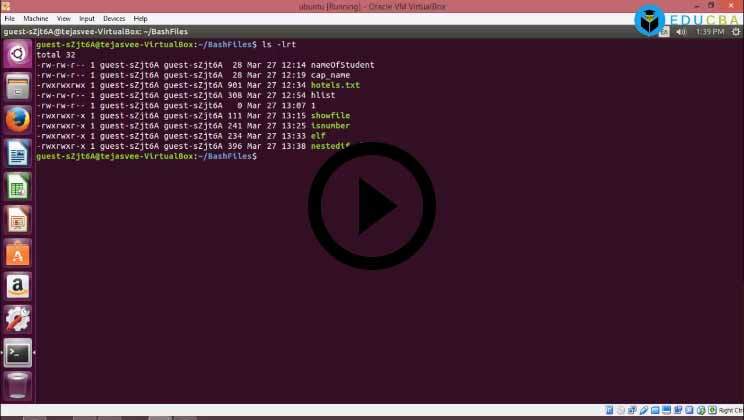 5 Linux Bash Scripting Bash Scripting Introduction, Linux Uses, Bash Variables. 6 Red Hat Linux Training Introduction to Linux, installing red hat and fedora core, Cinnamon, Terminal, managing users and permissions, utilizing storage and media, securing Linux mint, advanced administration techniques. 7 GCC on Linux in C Platform Introduction to C on Linux, Course on GCC compiler, Course on C and its different data types, variables, loops, conditions, functions, arguments. 8 Comprehensive training on UNIX and Linux OS Fundamentals This Linux training includes Unix Introduction, Files and Directories, Unix directory management, permissions environment, important commands, Processes, Networking, Quoting mechanism, decision making, loop control, Shell substitution, UNIX overview, Unix expression. 9 Linux Mint training This Linux training certification focusses on Linux Mint module which includes Introduction, installation, software manager, hard info, networking, drivers, users, shell commands, remote access. 10 Red hat Linux training practical sessions Introduction, Systemctl command, system monitoring tools, web servers, Linux shell, Shells and commands. 11 Linux ZFS training Introduction, getting started, installation, pool command, ZFS mirror, replication, snapshot management, renaming, offline, online and replace disk. 12 cPanel beginner tutorials Overview, registering domain, web hosting, cPanel dashboard, user manager. 13 cPanel intermediate tutorials Directory Privacy and disk usage, web disk, backup restore, PHP My Admin, Simple Zone Editor, Email. 14 cPanel advanced tutorials Introduction, cPanel features, IP Blocker, Track DNS, Password and Security. 15 Red Hat Linux 9 tutorials In this Linux training module we shall understand Introduction, getting started, what is GNOME, changing date and time, managing users and groups, default appearance, subscription manager, summary, cockpit, Linux commands, grep command. Linux is a part of family of operating systems based on Linux Kernel Operating System. Linux is a package and part of Linux Distribution. It was purely written in C Programming and Assembly language. It was initially released in the year 1991. It was licensed under General Public License GPUL version 2. 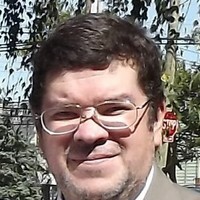 It was developed by Linus Torvalds and a group of community members. It is a part of UNIX like family. It is an open source software. It supports different and multiple platforms. Its kernel is of monolithic type. The main core components of Linux are Shell, Kernel and Programs. There are different commands that will be useful in managing and operating the functionalities such as Files, Directories, Shells, running scripts, scheduling scripts, managing file contents etc. Linux supports different functionalities such as multi-tasking, multi-user capability, security, file system, portability, Graphical User Interface etc. Linux has also the features such as Linux File Security, Networking, System Administration facility. There are several Linux Distributions available such as Ubuntu, Debian, Red Hat, Fedora etc. What tangible skills will I learn from this Linux course? The set of skills those which can be acquired up on completion of this Linux Certification are Linux, Python, System Administration, App Development, Linux bash programming, Shell programming, C, Securing and Performance Tuning and cPanel etc. Linux Certification also contains many other modules in the course and the chapters or modules under each course were covered in the course curriculum which are very useful to obtain more knowledge on advanced features of Linux and its OS architectural level such as Linux OS administering and managing file systems and accessing features of all users and user management, security management etc. There are also other skills which can be obtained upon completion of this Linux Certification are such as Linux Mint, Linux ZFS, cPanel, Red Hat Linux, Unix, Linux OS etc. The Linux Training Certification also contain a set of tangible skills which are user, memory and security management and its advanced OS architectural features of Linux concepts, running windows programs in UNIX/Linux etc. This Linux training is very useful for the prospective UNIX Programmers, Linux Programmers, System Admins, System Engineers etc. in larger organizations to develop Unix or Linux based applications using Linux or Shell scripting or Bash scripting in this Linux Certification to maintain the IT applications of the customers. Willingness to pursue career as UNIX Engineer or Linux Engineer or Systems Engineer: The Linux Certification has a set of prerequisites such as basic understanding Microsoft Windows, MAC OS X etc. and especially some genuine interest to learn Linux basics in order to complete this course contents. The basics of Linux such as maintenance of Linux based systems or basics of UNIX or Linux and knowledge on its advanced concepts are also recommended but not mandatory to learn the contents of this course. It is very easy to learn if one is having basic knowledge on any system programming or Linux Programming basics, or core concepts of any system related programming knowledge such as C or C++, and also hands-on experience on any of these is an added advantage in learning this Linux training certification. The core architectural features of Linux Programming are also an added advantage to complete this course. Knowledge in any System Level Programming Language or Assembly Programming Language: Any basic knowledge and / or relevant experience in the areas of system level programming languages or assembly level programming languages and its relative core concepts will help a lot in learning this Linux course. This will also add a lot of advantages on knowing C and/or C++ programming concepts in learning Linux and its advanced features. It will be a greater benefit in learning the concepts of this Linux Certification including a lot of technical knowledge which will further pave a way in learning the several other features at OS level. Students of Computers in Engineering or BTech or BE: Any learner or student of B.Tech or B.E in engineering discipline in the area of computer engineering or computer science can opt for this course. Any learner having some good knowledge on system programming languages too can choose this course. This Linux course is an added advantage to the career development, academic level or at experienced professional level with many benefits to the learners in obtaining more knowledge on the advanced features of Linux in this course. Linux OS has many several features such as beginner to advanced level and utilizing the OS level features. This course is recommended to any of the learners or students who are keen in learning and also interested. This course is also designed in order to advance the career of the learners in order to secure a job opportunity as a Linux Programmer or Systems Developer. Systems Developer or Linux/UNIX Programmer: The learners of this Linux training will be able to learn multiple concepts from Linux/UNIX OS or System level Programming from the contents of this course which will be further enhancing the learners’ career to an advanced level such as a Data Analyst, Linux System Administrator, Software Engineer, Technical Support Engineer, Linux Support Engineer, System Engineer, Unix Administrator, Software Developer, Linux Server Administrator, Desktop Support Engineer, Linux Engineer etc. This Linux training certification can be chosen without any other doubt because of its better career opportunities in the Linux/UNIX or systems development area. Bachelors or Masters in Science/Engineering Fields: Any Bachelor or Master Degree in Computers Science or Computer Engineering or Science fields can choose this Edu CBA – Linux course to obtain a Systems Developer or Linux Programmer or System Applications Developer or System Applications Engineer job in any UNIX based applications development related or developer roles in the larger MNC companies. Why should I consider this Linux Certification? Any Systems Engineer or Linux Programmer or UNIX Engineer working on the Linux apps development or UNIX development or system programming and who all are willing to learn Linux C Programming and interested to learn the core and advanced Linux OS level concepts should consider this Linux course. I do not have any good expertise in Computer Science or System level OS programming, is this Linux course still a fine option for better career? 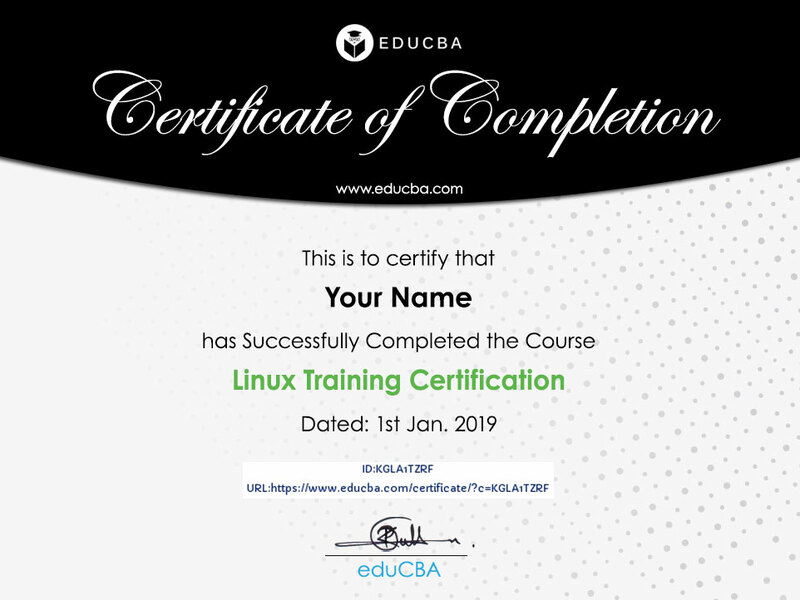 YES, this Linux Certification is still a very better option in order to proceed with this course because even without any systems programming knowledge also, this course can be easily chosen and which does not need any pre-requisites of Linux basics or OS knowledge in Linux programming. Any students or freshers who are very interested to learn Linux concepts can opt for this course. 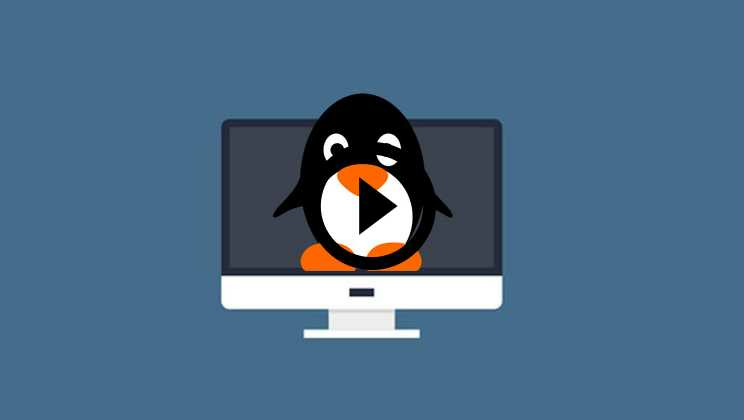 The contents of this course can be easily learnt because of the comprehensive content explanation in detail about the Linux OS features. Is this course an added value to my profession? Yes. this course is a value added and beneficial to your career or profession in terms of the OS or system programming and also to the learners’ career profile and including some verifiable certifications that will be a benefit in further opportunities. Is this an instant or quick revision for any interview preparation to learn this Linux course? Yes, this can be instant and quick revision without any hands-on experience on any system programming or OS level or systems application development experience but any knowledge is recommended and benefited which further adds advantage to this course. This Linux Training Certification needs a minimum of 124+ hours in order to complete this course. This Linux Certification is a package of 15 online courses for the Linux operating system and its architectural features that provides a deep knowledge on Linux OS concepts and features of Linux Programming, Shell Scripting and its core components with hands on content. Any Systems Developer or Linux Programmer can choose this Linux training in order to learn the Linux programming and OS features and its advanced concepts to get the career shifted to an advanced level such as Systems Application Developer, Systems Developer, Systems Engineer or Linux Programmer etc. There are also other benefits to career upon choosing this Linux training such as the certification which is also a part of the learners’ profile as verifiable qualification. Very Useful information. I learned commands I was not aware of in Linux. The videos were very helpful in showing me what is required to get the Linux working properly including all security features that should be implemented. A great Linux training indeed. Thank you! The instructor seems very knowledgeable. This Linux training is very informative and easy to follow. It is highly recommended course for system admin and security engineer. It would be also nice if this course has provided a PDF file of all the codes discussed in this course. This course is a great resource for entry level and intermediate Information Security professionals. It is easy to follow and provides the fundamentals to pursue many different paths in Information Security. For entry-level InfoSec professionals I would recommend taking some sort of networking refresher prior to this Linux training. Excellent tool, and great information to get started. Well explained. For beginners and also for current users that need a refresh. I highly recommended this Linux training. Great thing is you have lifetime access, you can gather so much information and share it with friends, students and colleagues. You will not be dissapointed.